He had to do a bit more explaining after that. Goodman is making “Hidden in the Heartland,” a new TV series that explores the possibility of events from “The Book of Mormon” happening in North America. Most scholarly research on the topic has focused on Mesoamerica and South America — academics have typically scoffed at the North America arguments — so Goodman’s efforts are not without disagreement. Goodman hopes the reaction in that Tennessee ward, though, as well as his Kickstarter campaign that raised $10,000, signals greater interest in the topic and his show. 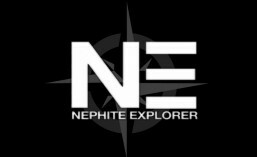 “Hidden in the Heartland,” which is scheduled to launch in spring of next year, also utilizes Ryan Fischer, whose series “Nephite Explorer” airs Sundays on KJZZ and online at TrueNorthTV.org. Goodman’s series was originally going to be a scripted drama/adventure a la “National Treasure,” but he changed course as he accumulated more documentary-type material and drew from Fisher’s expertise. Episodes of “Hidden in the Heartland” will be in a documentary format, peppered with dramatic reenactments. 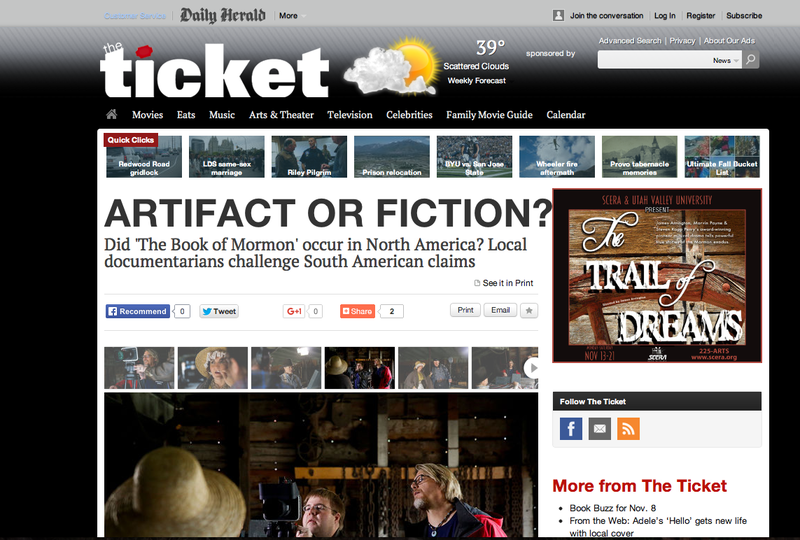 The show’s pilot episode premiered at the LDS Film Festival and Book of Mormon Evidence Conference earlier this year, and is currently available on DVD. Goodman is currently working on filming the reenactments and sorting through the documentary footage. He thinks the show’s first season will be anywhere from six to 12 episodes, and he’s still securing where it will air. “Hidden in the Heartland” will explore, among other things, various archaeological findings from the 1800s that he feels haven’t gotten their due — Goodman said lots of artifacts were excavated in non-academic settings as American settlers reclaimed land, and other academically unearthed artifacts were downplayed by various government policies. According to Tyler Livingston, president of the Book of Mormon Archaeological Forum, a lot of these specific artifacts are rather problematic. “These evidences have been around for a long time, but some of the artifacts they use have been proven to be forgeries,” Livingston said. “A lot of the things they use, it just isn’t all that accurate. It has been gaining ground because people that have been pushing it are great spokesmen, they’re great orators. The material they use isn’t widely accepted by actual experts or scholars in those fields. That particular point, of academic versus amateur research, is met with very different feelings from both camps. Ryan Fischer, whose background is in documentary filmmaking and investigative journalism, said that prior to the Internet, scholarship and archaeology were only available to academic professionals working in universities or the government. “But when the Internet came around, anybody that had interest in these subjects had access to it,” Fischer said. “Not only do you have amateur archaeologists, anthropologists, students of history looking into it, but you also have a resource where they can share what they’ve found. And that’s why the whole game has changed. According to Fischer, a big issue facing “Book of Mormon” archaeological commentary is how anti-Mormon proponents have mobilized themselves. Sifting through the endless amount of online materials can be as tricky as an archaeological dig. Pro-Mormon champions, he said, need to catch up.